Deadline dot com is reporting that "Lilly Singh has joined the cast of Fahrenheit 451, HBO Films’ adaptation of Ray Bradbury’s iconic dystopian novel that stars Michael B Jordan, Michael Shannon and Sofia Boutella." 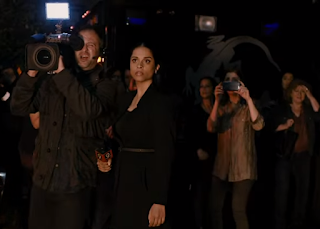 Lilly Singh is a popular Canadian Vlogger that plays a vlogger in the film. Tubefilter dot com is reporting that you can catch a glimpse of Lilly around the 1:18 mark in the trailer. 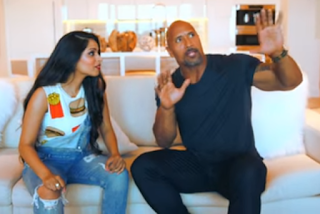 Lilly did a funny collaboration with the Rock. Everybody likes the Rock. The Rock recently filmed Skyscraper in Surrey. He's talented, personable and buff as f*ck. Michael B is the superhero that played Apollo's son in the movie Creed and is fighting the son of Drago in Creed 2. MBJ played a pretty awesome villain in Black Panther. Creed 2 will be epic.